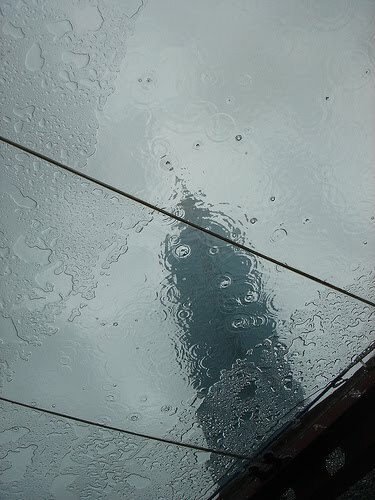 Good heavens, Taipei. When are you gonna stop raining? It has been raining for six consecutive days now and you aren't tired yet? But anyhow, I just smiled few seconds ago when I refreshed the weather update because I finally saw mister sun in the forecast! I am expecting sunshine on Friday until Sunday, hopefully carrying it over to Tuesday, until mom, my aunt and I leave Taipei for my summer break. I am done done and done with all my papers and I don't want to do anymore revisions. I have free days left so I'm aiming to submit a one-page thesis proposal to my (still crossing my fingers) soon-to-be thesis advisor, praying that she will give me her go signal and accept me as her advisee. My bags are all packed now and I'm actually ready to go. I'm just waiting for tomorrow to come and move to a hostel before mom comes this Friday. Talk about freedom! 24 credits done in a span of 9 months. I owe myself a Jollibee meal when I get back, Cibo's Ensalata Pacifica, Auntie Mely's inihaw na liempo and asado, and Manang Nen's homemade barbecue. So what am I looking forward to in a couple of days? Knowing that I'd be bringing two good friends home and enjoying the beach with them, in a weather way better than Taipei! And of course, being with the mom and the dad who are childless for some months now. I cant wait to be home! The thing with living in a dormitory is having to share a room and deal with a complete stranger. Let me introduce you to my alien of a roommate before I get all too giddy in sharing how happy I am and how fantabulous my trip to Singapore was. My roomie appears to have lived in the outer space long before coming to earth as everytime she slathers on a cream of some sort, she slaps her face to "rejuvenate" her skin (Hey, I can do that for her, the slapping part). She also wears a jacket and sweatpants even if the sun's scorching hot. She only has one shirt, one pair of shorts, and one pair of jogging pants for her sleeping attire within the ten long months of sleeping in the same room. I don't even know if she washes them regularly, but you get my point. Heaven knows how I'm annoyed with all her oddities that merely looking at her disaster-catastrophic-what-looks-like-a-pile-of-junk-table is making me irritated. The fact that I haven't seen her pick up the broom and sweep the floor is valid enough reason to get really angry and agitated. I clean every single day, spray Lysol and Glade clandestinely on her table and sheets, you know, just to get away with bacteria. I wrote about her because I want to rant and rant and rant. She's taking away a comfortable sleep from me tonight. I will be sleeping without the aircon on because apparently she has a headache. (By the way, I am solely paying for our aircon usage. She didn't even bother to shoulder half of the NT$500 airconditioner card! The aircon in the room only works if you have the card which you have to purchase. Talk about how a free rider she was during the hot summer months the previous year.) Now tell me, what's the connection between her headache and my aircon? Isn't it better to sleep in a cool room, you'll sleep easily and headache will go away quickly? Anyhow, with all these things being said, the four-day vacation I had in SG few weeks ago gave me extreme happiness. Four days of not seeing this one heck of a roommate is just something to look forward to. Sorry for ranting too much. I now apologize. Here are the places I've visited when I went to Singapore. I tried sorting them out from day 1 to 4 so you can have an idea of my itinerary. You can copy it if you're planning to go on a 4-day 3-night getaway. Note: Every place is accessible with their MRT. All you need to do is buy an EZ link card for SG$ 18 (The card costs SG$5, nonrefundable, so the total credit consumable is SG$13). You can ask for a refund before leaving if you didn't get to consume all the credit. Day 1 was Universal Studios Singapore (USS), Sentosa and Vivo City. I dint expect much about USS because I know the Asian version would be tad smaller. There are beaches in Resortworld Sentosa, Siloso and Palawan beaches. Of course nothing beats the beach back home. I just went there for a stroll and just to feel white sand between my toes. It's been months since I last went to one. Underwater world captured the interest of the kids but the highlight of my day 1 was the Songs of the Sea inside Sentosa. It really blew me away. We ended the night in Vivo City, dined at their food republic, and shopped around this cool mall. Day 2 was spent in Marina Bay, Chijmes, Orchard Road, and Bugis. I met with my cousin, Kuya Ryan and his wife Ate Lea. Of course I have to take a picture of the Merlion. I also went to Raffles Square (did I get it right?) and to Esplanade. Ate the famous ice cream sandwich, wasn't too experimental so I tried the good ol chocolate flavor. Shopped at Orchard Road and all I can say is that it's a shopping paradise. I met with Achie Cheryl for dinner. Headed to Bugis for additional shopping. Day 3 was scheduled for Clarke Quay, Chinatown, Little India. Clarke Quay is the night-life strip of Singapore. Since I'm not a night-person, I opted to go see the place in the morning since it's near Chinatown. We stopped by the Parliament, then headed to the Fountain of Wealth. Had dinner at a hotpot place where I had superb chili crabs. Walked to Little India after. Day 4 was back to reality. I arrived pretty early in Changi Airport. The airport is humongous. You can take sky train to go to each terminal. It's a food place, airport and shopping center all in one. I did my last minute shopping in Charles & Keith before going back to Taipei. The trip was really great because one, I didn't see my roommate's annoying face for four days, and two, I didn't overspend. Hooray! I am crossing my fingers for my China and Korea trips, and of course USA. I might need to starve myself for the coming days for my tour budget, haha!